"We expect that the State Government shall, in compliance with the Policy, revisit the income limits at intervals of three years or earlier and consider whether a revision is warranted having regard to the cost of living, inflation and other relevant facts and circumstances." The Supreme Court has called upon the State of Himachal Pradesh to revisit income limit criteria for compassionate appointments, preferably at intervals of three years. "What should be the appropriate income criterion is undoubtedly a matter of policy for the State Government to determine. However, we would impress upon the State Government the need to periodically revise the income limits preferably at intervals of three years. 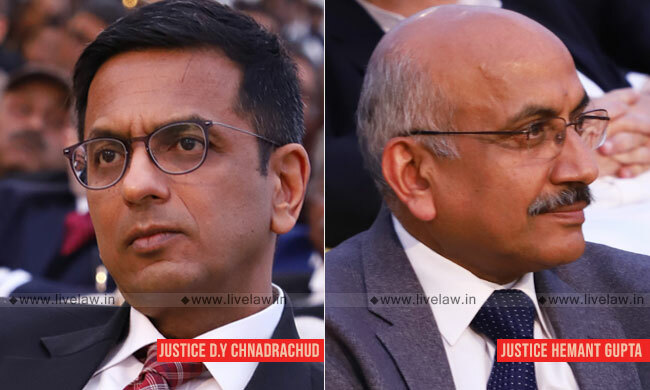 ", the bench comprising Justice Dhananjaya Y Chandrachud and Justice Hemant Gupta said. The court observed that inflation and the increase in the cost of living have an important bearing on financial exigencies faced by families of serving as well as deceased employees. "In fixing the income criteria for considering cases of compassionate appointment, it would be appropriate if the State revisits the income limit at periodic intervals, as we have indicated above. We clarify that it would be open to the State to revise the income limits at a frequency of less than three years, if the State is so advised. ", the bench said. The bench made this observation while allowing state's appeal against the High Court order which had held that the State is not entitled to take into account family pension and other terminal benefits in determining whether compassionate appointment should be granted to the dependant of a deceased employee. On 18 January 1990, the Government of Himachal Pradesh framed a policy for making compassionate appointments. The policy indicates that it applies to requests for the appointment of sons, daughters and near relatives of government servants who die in harness, leaving the family in immediate need of assistance. This Policy mandates that the receipt of family pension should be taken into account in considering whether the family has been left in indigent circumstances requiring immediate means of subsistence. The income limit of Rs.1, 00,000 was subsequently revised to Rs.1, 50,000 in 2011. Referring to these facts, the bench said: "In view of the clear terms of the Policy, we are of the view that the High Court was in error in issuing a mandamus to the Government to disregard its Policy. Such direction could not have been issued by the High Court… The Scheme contemplates that payments which have been received on account of welfare measures provided by the State including family pension are to be taken into account. Plainly, the terms of the Scheme must be implemented."